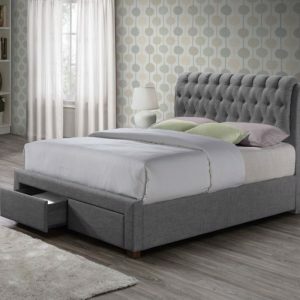 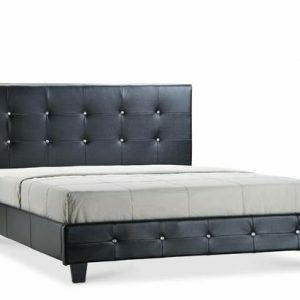 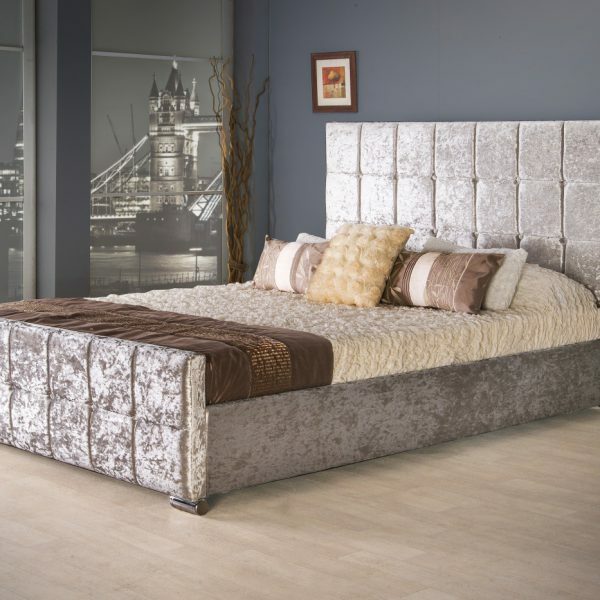 The Renata Cube High Foot End Bed Frame is a beautifully upholstered bed frame that will add a touch of luxury to any bedroom. 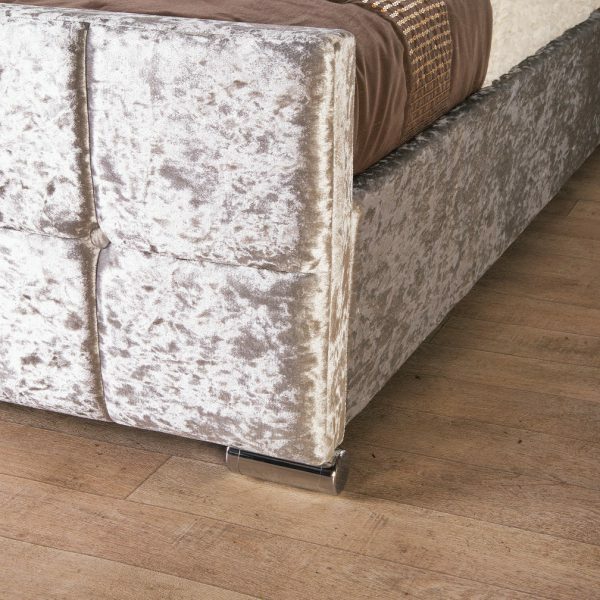 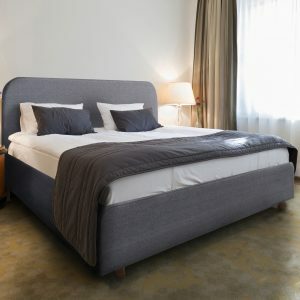 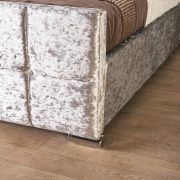 The Renata Cube bed has a very Distinctive Cubed effect finished off with a very Striking Fabric Button along with it’s modern chrome feet.Hand made in Great Britain, the Renata Cube Bed Frame is manufactured using traditional methods. 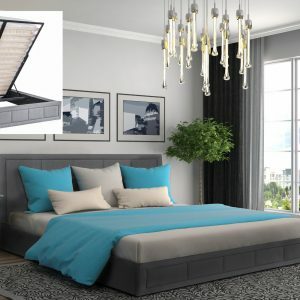 The Renata Cube bed has the added advantage of under mattress storage. 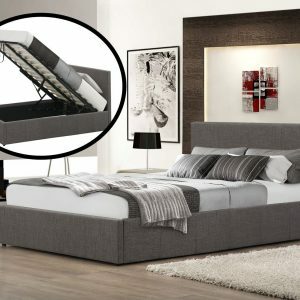 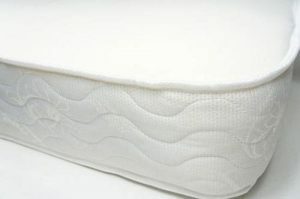 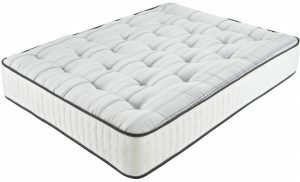 You can gain access to the storage area by simply sliding the mattress to one side and lifting the base top which gives you the whole area inside to store your belongings. 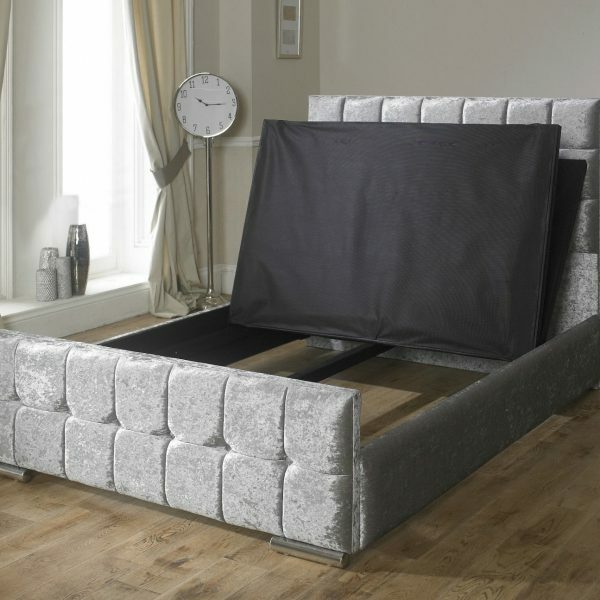 It’s perfect for storing goods away for long term or the items you wouldn’t need access to on a regular basis.